The situation has gotten even more serious since June 30th, when the deadline expired for payment through Telekom. Despite many proposals modelled after other countries, an alternative system of fee collection has yet to be designed. After the meeting on last November 21st , the BHRT board stated that the situation passed the sustainability threshold and "it is now a matter of days before the public service is totally unable to perform its function". "The BHRT is the victim, on the one hand, of the impossibility to reach an agreement inside the Parliament of Bosnia and Herzegovina, and on the other hand, of power relations within the public service in the country", emphasised the Board. "We urgently ask for a management review of the three public broadcasters, to assess the situation objectively and punish those responsible for the millions of debt. At this point, it is of the utmost urgency to approve the amendment of the Law on the public system, according to the urgent procedure in the House of representatives of the BiH Parliament, in order to finally ensure stable funding and solve the dramatic situation in the public service", explains Smital. "The commission in charge of solving the problems of public service met 12 times in the last two years, but there has never been the political will to solve problems. I cannot predict what will happen to the public service because all the plans that made so far have failed. We thought we could extend the existing payment system through Telekom, but we did not succeed. I do not know what the solution might be with all the different political interests. The SNSD in Republika Srpska wants the RTRS to keep the tax money to itself, the opposition does not want to give any support to the RTRS because it has no access to this television. And then there are interests to create a Croatian television", explains Novaković. "From a purely communicative point of view, we have one language. In the system there is no place for a channel in the Croatian language, or we should have channels in the other languages too. I, as a Bosniak, do not need a separate channel in the Bosnian language". "We could create a centre in Mostar that broadcasts in Croatian language, but the problem is the equipment. The financial issue must be solved as soon as possible", says Marčeta. 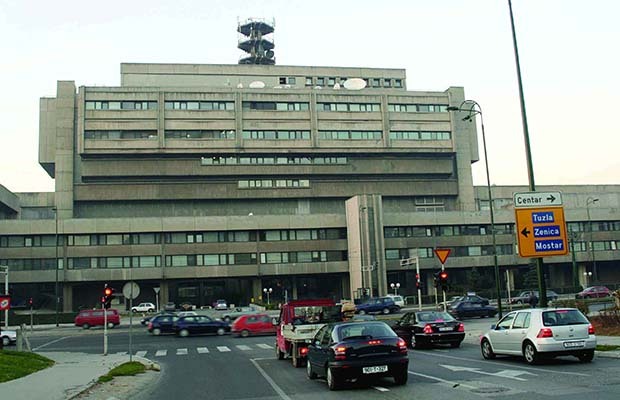 Zvonimir Jukić, Executive Director of the RTVBiH programmes, in a text written for the magazine E-novinar, argues that these retrograde ways of thinking are only intended to jeopardise the financial and editorial independence of public services. "Eventually, this would lead to their total submission to the political centres of power and enable further ethnic division through the segregation of national public media and thereby also of the public space, in the form of the educational segregation that has existed in this country for years. The same fate also awaits public services and new initiatives for their reform", points out Jukić.